Ladies and gentlemen the moment you have all been anxiously waiting for is now here. 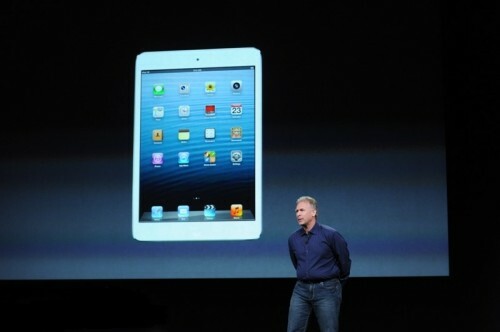 Just moments ago Apple officially and finally unveiled the iPad Mini. Let me tell you this, it is exactly what we thought it is going to be. Its thin, its light and it can easily be held in one hand. Without further ado, because we have all waited so very long for this, lets jump right in and see what iPad Mini brings to the mid-range tablet market. All of the rumors that we had heard about iPad Mini seem to be bang on. This device can easily be held in one hand. Quite frankly it looks like a blown up iPod touch. It even has the same curving back as the iPod touch 5G. From every angle this device in incredibly thin and beautiful, or so Apple says. It is only 7.2mm thick, making it 1/4th thinner than the fourth generation iPad. It weighs only .68 pounds, almost half than the fourth generation iPad. It is almost as light as a legal notepad. Now that is amazing. It will be available in black and white. The black model will have the same anodization that iPhone 5 has on the back. The screen on iPad Mini is 7.9 inches however it has exactly the same resolution that iPad 2 had: 1024 x 768. Developers will be overjoyed as they do not have to make additional changes to their applications. The diagonal .9 inch increase in screen size results in 35% more display area as compared to other tablets in this category. Now to the good stuff. 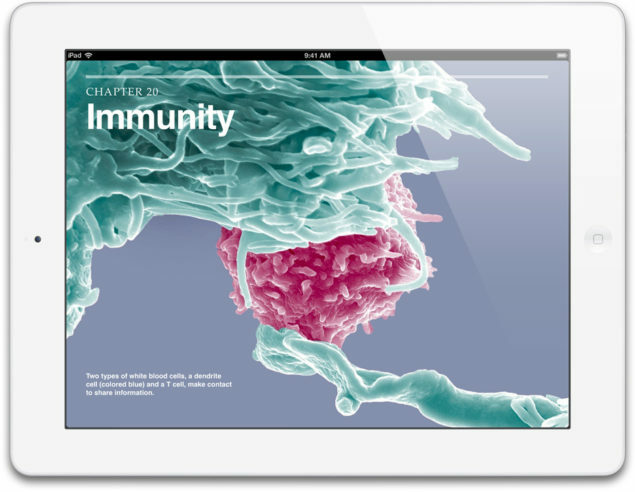 Here is whats inside the iPad Mini: a dual-core A5 processor, FaceTime HD camera on the front coupled with a 5 megapixel iSight camera on the back, capable of full 1080p HD video recording. The new Lightening dock connector has been integrated in to this device. In terms of connectivity, the device offers LTE wireless and the new dual-band 802.11a/b/g/n WiFi. All of this amazing technology notwithstanding, the folks at Apple have managed to retain the iPad’s legendary 10 hour battery life for this mini tablet as well. 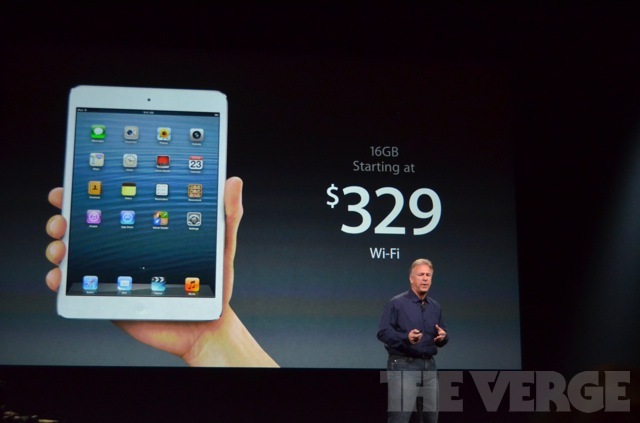 The base model, which is 16GB with WiFi will be priced at $329. 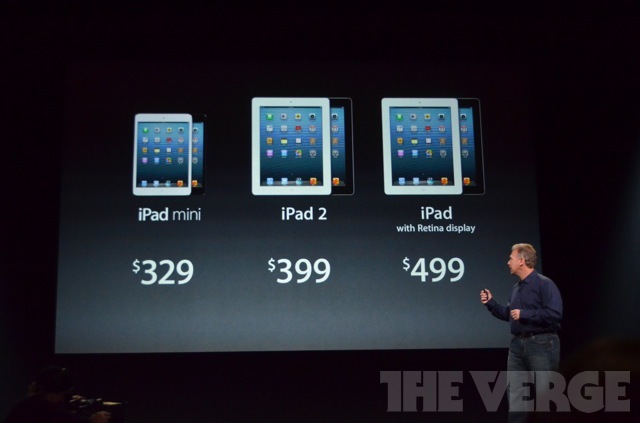 The 32GB iPad mini is priced at $429 and the 64GB for $519. Add $130 to each model for LTE connectivity. Pre-orders will begin on October 26 and the Wi-Fi versions begin shipping on November 2. The cellular versions will begin shipping a fortnight later. Finally, the iPad Mini has been officially announced by Apple. It comes at a good price and will definitely prove to be a tough competitor to other mid-range tablets. So who is getting one?